Advanced First Aid and Advanced Resuscitation certification are required or at least highly recommended to work certain roles in multiple industries, ranging from Surf Lifesaving to Security and Defence. This course has been designed to give participants a more thorough understanding of first responder practices, as well as for those whose roles and responsibilities are liable to deliver safe and effective First Aid. Whether as a requirement for work or taking this course as a layperson with a desire or interest in learning how to safely and responsibly handle emergency First Aid situations, this course is as extensive as you can get next to becoming a healthcare industry professional. 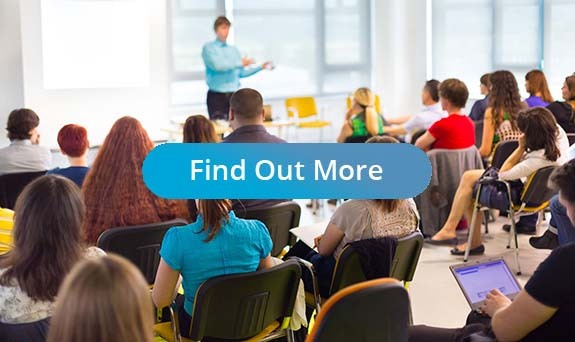 The course covers Spinal Management, Defibrillation, Management of Anaphylactic Shock, WH&S Guidelines, Safe Manual Handling and Legislation amongst other topics. Provide Advanced First Aid HLTAID006 and Provide Advanced Resuscitation HLTAID007 combo course­­. The HLTAID006 Provide Advanced First Aid component of this course supersedes the older HLTFA412A Apply Advanced First Aid qualification. The HLTAID007 Provide Advanced Resuscitation component of this course supersedes the older HLTFA404C – Apply Advanced Resuscitation Techniques qualification. A current HLTAID003 Provide First Aid certification (or equivalent) must be sighted and online pre-study must be completed before being allowed entry into the training session. Although possession of a current HLTAID003 Provide First Aid certificate is not a mandatory requirement, we strongly advise participants to complete HLTAID003 training course prior to attending Advanced First Aid training. For more information about HLATID003 Provide First Aid training, please visit our First Aid Sydney page. Upon Enrolment, students will be given access to our online resources on the Training Aid Australia website. Participants must complete the online theory workbooks and submit a declaration online before arrival to the training venue. Failure to complete these workbooks will result in participants being refused entry into the training session. Participants are expected to arrive at the training venue 15 minutes before the course starts so that general First Aid certificates can be sighted and IDs and payments can be checked. Failure to arrive at the very latest 20 minutes after the scheduled start time of the course will result in participants being refused entry. Participants must have a basic understanding of the English language in order to complete the course. The Trainer on the day reserves the right to refuse entry to any participants based on the outcome of the Language, literacy and Numeracy test which is available to all participants. Upon completion of the course, and after being assessed as competent in all practical and theory based components, participants will receive a nationally accredited certificate both HLTAID006 Provide Advanced First Aid and HLTAID007 Provide Advanced Resuscitation, valid for 3 years. HLTAID006 Provide Advanced First Aid and HLTAID007 Provide Advanced Resuscitation courses are delivered and certificates are issued by Training Aid Australia. Training Aid Australia is a Registered Training Organisation (RTO No 91411) which has been delivering First Aid courses around Australia for close to a decade. As one of the very few companies nationwide who offers this course, Training Aid Australia takes pride in delivering top-quality training sessions, with trainers who each have multiple decades of relevant industry experience. Our 8 Hour course fits neatly into busy schedules. See our dates and times below. Our Advanced Resuscitation Course is designed to equip participants with the skills and knowledge necessary to react correctly in emergency situations in order to provide resuscitation.